At the end of this month, after 67 years continuous production, the last Land Rover Defender will roll off the production line at Solihull. 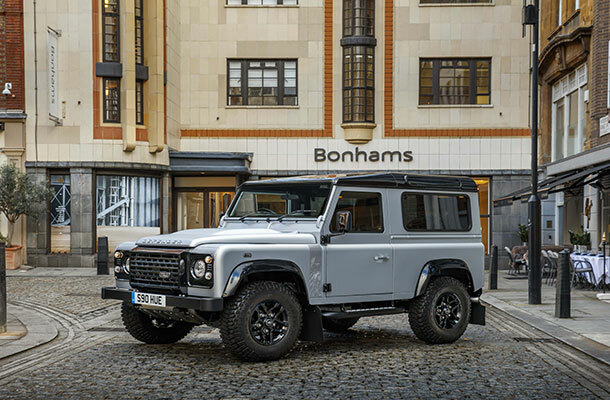 As work on the next generation of Defender continues, it’s time to celebrate a classic. The two millionth Land Rover Defender. At the Paris motor show in 1948, Citroen’s Vice-President, Pierre Boulanger, presented his masterpiece – the diminutive Citroen 2CV became an icon of Gallic genius. The vehicle, an air-cooled pipsqueak capable of 9hp (slightly more than the two its name suggested), was designed to get French agriculture off its back, and the backs of donkeys, and into the motorised era. In 1948 Europe was not like it is today. Most of it had been flattened. War had overruled business. The 2CV was cutting edge. Hidden away at the family farm near Red Wharf Bay on Anglesey, brothers, Spencer and Maurice Wilks, Managing Director and Chief Engineer of the Rover Company, spent the aftermath of World War II puzzling over the same problem. The ‘Land Rover’ they envisaged was bigger, more powerful - more Churchillian - than the titchy little ‘deux chevaux’. But it would be no less agricultural. The prototypes Wilks designed were modelled on tractors, with its steering column in the middle of a square-jawed, rugged 4x4 vehicle. 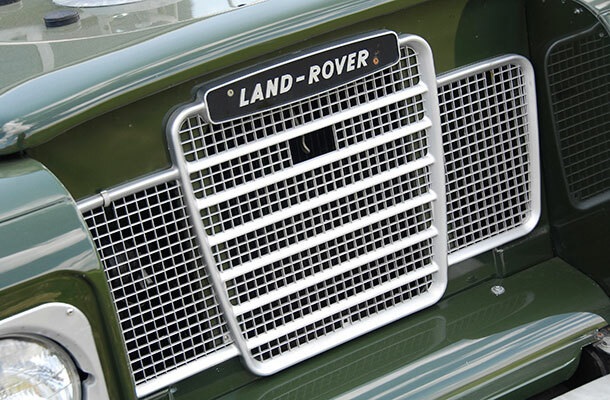 At the Amsterdam Motor Show in 1948, the Land Rover was introduced to the world. The design would carry it forward for the next 67 years. It was a robust, general-purpose vehicle, 'for the farmer, the country man and the general industrial user’. Hand built in a factory in Solihull, the ‘Birmabright’ aluminium and magnesium body provided a light-weight, no-nonsense shell that epitomised British inventiveness. If something couldn’t be loaded up because, for example, the door was too small - you simply unhooked the door. The Land Rover was bent into shape by hand, but it was dipped in a secret ingredient known only to the engineers of Birmingham – character. Like Spitfires or cups of tea, Land Rovers exuded power and quirky British charm. They were an instant hit with anyone who wanted to drive off the beaten track. Retailing at £450, production immediately rose from 100 to 500 per week. Kim Palmer, Land Rover’s Public Relations Manager, has spent much of the last year celebrating the achievements of a global icon. Land Rovers and their descendants, Land Rover Defenders, are used by farmers, armed forces, police and rescue services, as well drivers whose idea of a rough terrain is a pot-hole on the A3. I guess my favourite version of the Land Rover has to be the first. Huey, an original prototype Series 1 Land Rover was built in 1948. I’ve had the pleasure to drive him at events celebrating the Land Rover and the Land Rover Defender as we approach the end of production. Great design requires a vibrant process of renewal. Thanks to their toughness, two-thirds of Land Rovers are still in use. Land Rover and Defender drivers don’t so much as own cars as have pets. Like Kim Palmer, they give their vehicles names and they go all watery eyed when they talk about bits they need to replace. But, as Kim says, the current model was built for a different world. The Defender was built for its time. The next generation will be incredibly advanced. The management of intellectual property has always been crucial to Land Rover’s success. Building this brand required a combination of engineering brilliance, design flair and showmanship. For a vehicle originally conceived of as a sort of square tractor, the Land Rover is pure theatre. Some readers may remember the zebra striped Land Rovers in ‘Daktari’; the movie ‘Born Free’, released in 1966, would not have been the same without its Land Rovers; Dr Who’s Brigadier was never far from a Land Rover - a kind of anti-Dalek; Successions of country vets and doctors rarely appear on-screen without their 4x4 co-star. 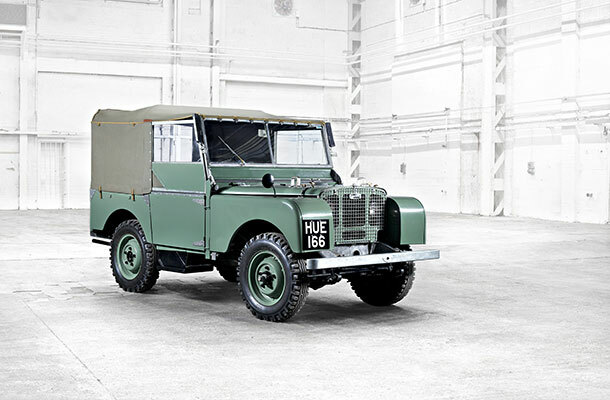 Trade mark 663199, registered October 1947 for ‘Land motor vehicles and parts therefore included in Class 12’ for the words ‘Land Rover’ represents one the of best ideas post-war Britain has had. With the diversification of Land Rover’s brands, the trade mark ‘Defender’ was registered in 1983. Scheduled for launch in 2018, Jaguar Land Rover’s new Defender will not replace the brand’s iconic IP, it will enhance it. The new designs, inventions and trademarks that will make the new model competitive are top secret. For those who want to see the new Defender, until this IP is protected, it will remain hidden from public view, just like the first prototype all those years ago on Anglesey.